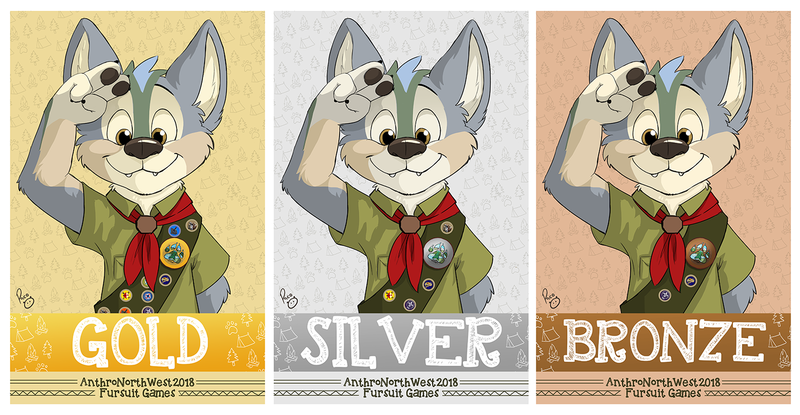 And these are the medals of the Youth Fursuit Games for Anthro NorthWest (ANW). This cute wolf is Andy, the mascot of the convention. These are awesome! Love the idea and the adorable expression. I don't know... I suspect some commissioners could outbid a convention.